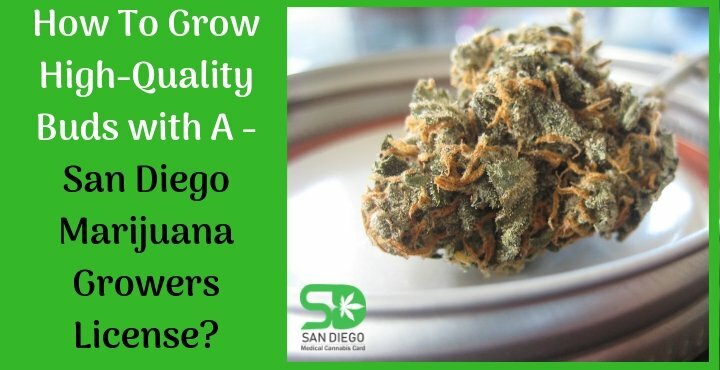 How To Grow High-Quality Buds with A San Diego Marijuana Growers License? Growing cannabis strains is not a complex process at all, but it’s defintely an art. Having a San Diego marijuana growers license is not the only solution. It’s not everyone’s cup of tea, or should it be like “it’s not everyone’s cup of plant”. Don’t think only novice growers have quality issues. Sometimes, even skilled growers are not able to achieve the expected quality buds. However, you don’t need to worry at all. We have enlisted some of the top tricks and tips of growing high-quality buds. If we are looking for an end-product quality, then it should have a quality start as well. Although, it might be challenging to get top-quality seeds, as they cost more when buying through a seed bank. But, that’s absolutely worth it. Because that will ensure great genetics after. So, never go for mid-grade seeds, clones or bag-seed. Like using soil for plants growing in water will be useless, similarly adding wrong nutrients to the different cannabis strains will not be beneficial as well. However, you must ensure to add the correct basic nutrients during the growing stages of the cannabis plant. Mostly, people while growing cannabis ends up with these common mistakes — overwatering as well as overfeeding. Phosphorous is one of the major requirement among nutrients, especially during the flowering stage. It will help to enhance the number of flowers along with being an excellent bud enhancer. Potassium, on the other hand, will help to increase the size as well as the density of each flower. Don’t overfeed the flowers especially during the flowering stage. Adding sugars or carbohydrates will improve the taste as well as the smell of the growing cannabis strain. Using bloom enhancers will aid the cannabis growing by improving processes. PK boosters should be used sparingly. Strong light is essential for improving bud density, potency as well as final yield. There are many light options available such as LEDs, OLEDs, and more. Make sure you search what is in the trend nowadays. Correct temperature and humidity will help to grow fine quality strains. Usually, the temperature of 65-75ºF with 60% humidity is usually the required temperature for growing seedling, while approximately 60-80ºF is the best temperature for flowering. One must maintain a humidity of 40-50% during the flowering stage. Medical marijuana has usually weak branches, therefore providing support will definitely help in the improvement of the development greatly. Air circulation is one of the best factors which will help grow the quality cannabis buds. So, going for the best air filtration as well as ventilation equipment will be highly beneficial. Usually, growers stop paying attention after the harvest. But, with the curing as well as drying of cannabis the right way will help increase the potency and smell of the bud significantly. Growing cannabis after obtaining San Diego marijuana growers license can be really tedious or complicated sometimes. But, producing cannabis with quality buds can be extremely exhausting. So, practice the best tips and tricks for making the whole growing process extremely fruitful.